NYPD Det. 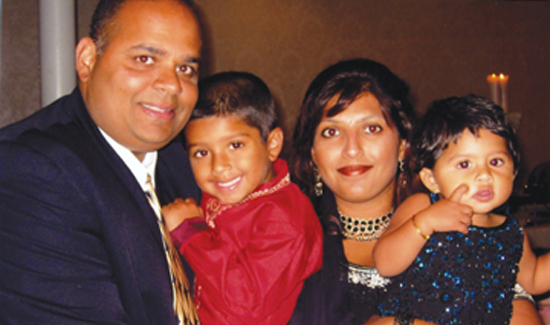 Sam Panchal, his wife Alisha, and children Jaan and Aniah in 2010. One of Sam Panchal’s bosses said, “Getting Sammy on the NYPD was the equivalent of an NBA team getting the first-round draft choice. He is that good.” When Sam made his decision to go into law enforcement, his family was in shock. “It’s not acceptable in the Indian culture,” Sam explained. “You’re supposed to be an engineer, a doctor, or a professor. Police officer is not on the list.” But he always dreamed of being a cop; there was something deep in his soul that drew him to this dangerous and stressful life. For months Sam hid his uniform in the car and changed on the way to the Academy. Here’s Part I of Sammy’s incredible story from the pages of Brave Hearts: Extraordinary Stories of Pride, Pain and Courage by American Police Beat publisher Cynthia Brown. Sam felt the waves of nausea rolling over him and he knew he was going to throw-up. He told his partner, Jimmy, to pull over. Jim, a detective with the NYPD’s Special Fraud Squad and a nineteen-year veteran of the force, thought Sam was kidding. They’d been working together closely for months and the older detective had never heard his younger, cigar-loving colleague complain he wasn’t feeling well. He kept driving, Sam puked and the sickening smell would linger for months. Sammy Panchal and Jimmy Feasel were investigating what they thought was an auto insurance fraud scam. Sam had gone undercover to collect the evidence the NYPD hoped would crack the case. He felt he had no choice. If you meet Sam, you can’t imagine him afraid. Everything about him exudes self-confidence. As his former commander Louis Vozza said, “When I first met Sam, I thought, here’s a guy who is absolutely fearless.” But the invitation to the tea party did make him nervous. He had no radio, no cell phone, no pager. Worst of all there was no time to tell Jimmy about the plan. If they figured out he was a cop, Sam would have no way to call for backup. A Pakistani waitress brought an assortment of things to eat – strange nuts and crackers and a really foul smelling beverage. Sam was promoted to First Grade Detective in 2006, an event he says that was one of the biggest days of his life. Sam had only been on the street two years when he got the undercover assignment. He was born in India where his extended family is from but some people assume he’s Hispanic. But no one who talks to him for even a minute has any doubt that wherever his roots are, Sammy is a New Yorker. About all they knew at the time was the operation was run by a group of secretive, well organized Indian men. The insurance claims they filed were running into the hundreds of millions of dollars. Detectives assigned to the NYPD’s Special Fraud Squad were familiar with all kinds of criminal scams run by Russians, Italians and Asians. But Indians? In the early 1990’s, this was something new. The case ended up on the desk of Jim Feasel, a seasoned detective who had been working organized crime for five years. 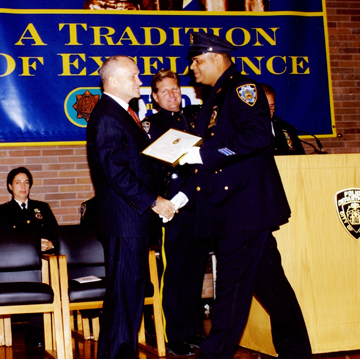 Detective Feasel was considered the NYPD ’s top investigator on insurance fraud. He knew he had to send in an undercover but no one knew how many Indian cops they had. The detective searched the NYPD’s massive database and discovered that among the department’s forty thousand sworn personnel, there were only three officers of Indian descent. Feasel called all three. Sam Panchal, a rookie officer still in his twenties, was the only one who called back. Coming up next: Sammy goes undercover, and things get tense.